That snipe, from a cowled friar in Hayward, Calif., points out that the Top 50 on TV addendum to my last post reads “Nothing this week” — when, in fact, the Frys.com Open is being held at the CordeValle Resort Golf CLub, No. 49. I could pen an extended rebuttal to Monastery Man’s snide, albeit artfully-phrased, “gotcha.” But that’s not how we do things at the Top 50. CordeValle is, indeed, No. 49. 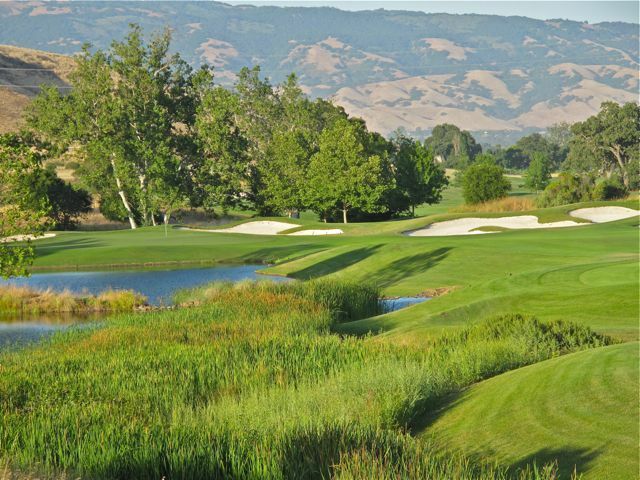 That’s a rung above the 50th-ranking the northern-California resort achieved back in June, when SI senior writer Gary Van Sickle and I played it on our way to flights from San Jose International Airport. *Contingent upon completion of certain infrastructure projects at our Kansas City headquarters. As for the charge by our Thomas Merton wannabe that we can’t type, I will patiently explain that CordeValle — pronounced “COR-de-vol” — is spelled with a capital V. (See my privately-published monograph, “What’s with the E in FedEx?”) The documentation for the L in “CLub” seems to have been misplaced, but I’ve got someone looking into it. There is no listing for Hayward, by the way, in Michelin’s Guide to North American Monasteries.